As autumn has truly begun and warmer days are fading away, we hope your finished Bloom Burst CAL piece will brighten up your days to come! 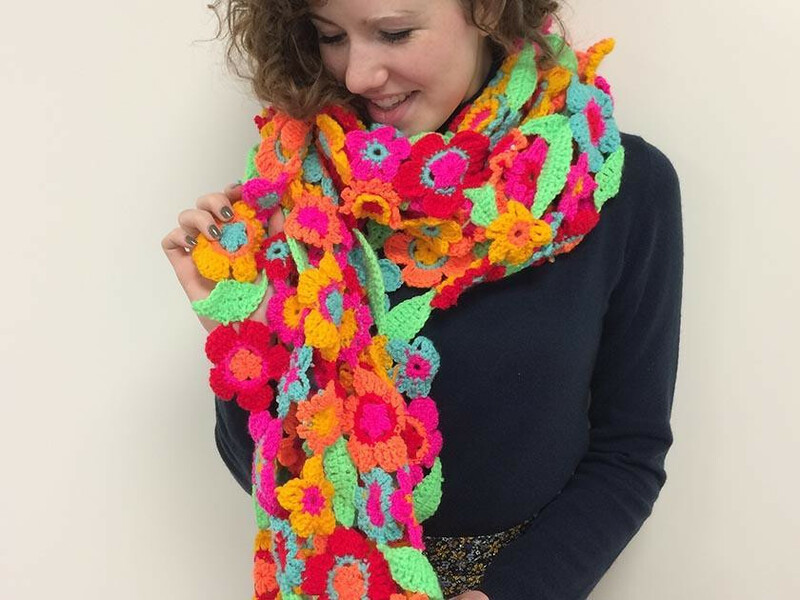 Hopefully you enjoyed the different crochet motifs inspired by real species of flowers and used them to create your own unique crochet pieces. 1 x 100g (295m) ball of Stylecraft Special DK (100% acrylic) in each Jaffa 1256, Fiesta 1257, Sunshine 1114, Matador 1010, Bright Green 1259 and Aspen 1422. You will also need a 4mm crochet hook. It all began with the meconopsis which was arguably the simplest of the three floral motifs. Two colours were used in each motifs with a whopping 80 motifs in 20 different colour ways. This was followed by the hellebore flower with three different shades. The beautifully textured scabious was our third and final bloom. Sarah E Laking enjoyed crocheting a fabulous range of the scabious motifs in an array of colours ready to sew together into something lovely. Looking great, Sarah! It was ﻿blooming brilliant to see the colour theme Helen Squire chose for her meconopsis motifs. Having the double layer motif creates an interesting 3D texture. Don't forget to share your finished pictures, we can't wait to see the motifs put to good use. Join us for our next CAL launching Friday 13th October. This time we are making a wintery blanket, click here for more information and to see the inspiration behind it! Stay tuned for upcoming knit and crochet alongs as well as exclusive offers, free patterns and more by signing up to our newsletter.